Covers basic methodologies in sample preparation and separation techniques, as well as the most recent techniques of mass spectrometry. Differentiates between primary and secondary metabolites. Includes four chapters discussing successful metabolome studies of different organisms. Highlights the analytical challenges of studying metabolites. Illustrates applications of metabolome analysis through the use of case studies. SILAS G. VILLAS-BÔAS, PHD, is a Research Scientist at AgResearch Limited in New Zealand. UTE ROESSNER, PHD, is a Post-Doctoral Fellow at the Australian Centre for Plant Functional Genomics at the University of Melbourne, Australia.? MICHAEL A. E. HANSEN, PHD, is a Post-Doctoral Fellow at BioCentrum-DTU, Technical University of Denmark. JØRN SMEDSGAARD, PHD, is an Associate Professor at the Center for Microbial Biotechnology, BioCentrum-DTU?at the Technical University of Denmark. JENS NIELSEN, PROFESSOR, Dr. techn., PHD, is the Director of the Center for Microbial Biotechnology at the Technical University of Denmark. PART I: CONCEPTS AND METHODOLOGY. 1 Metabolomics in Functional Genomics and Systems Biology. 1.1 From genomic sequencing to functional genomics. 1.2 Systems biology and metabolic models. 2 The Chemical Challenge of the Metabolome. 2.2 The structural diversity of metabolites. 2.2.1 The chemical and physical properties. 2.2.3 Primary and secondary metabolism. 2.3 The number of metabolites in a biological system. 2.4 Controlling rates and levels. 2.4.1 Control by substrate level. 2.4.2 Feedback and feedforward control. 2.4.3 Control by “pathway independent” regulatory molecules. 2.4.6 The dynamics of the metabolism—the mass fl ow. 2.5 Metabolic channeling or metabolons. 2.6 Metabolites are arranged in networks that are part of a cellular interactome. 3 Sampling and Sample Preparation. 3.2 Quenching—the fi rst step. 3.2.1 Overview on metabolite turnover. 3.2.2 Different methods for quenching. 3.2.3 Quenching microbial and cell cultures. 3.2.4 Quenching plant and animal tissues. 3.3 Obtaining metabolites from biological samples. 3.3.1 Release of intracellular metabolites. 3.3.2 Structure of the cell envelopes—the main barrier to be broken. 3.3.4 Nonmechanical disruption of cell envelopes. 3.3.5 Mechanical disruption of cell envelopes. 3.4 Metabolites in the extracellular medium. 3.4.2 Metabolites in the gas phase. 3.5 Improving detection via sample concentration. 4.4.2 The chromatogram and terms in chromatography. 4.6.1 The mass spectrometer—an overview. 4.6.2 GC-MS—the EI ion source. 4.6.3 LC-MS—the ESI ion source. 4.6.6 Mass analyzer—the time-of-fl ight. 4.6.7 Detection and computing in MS.
4.7 The analytical work-fl ow. 4.8.4 Exporting data for processing. 4.9 Beyond the core methods. 4.9.3 Tandem MS and advanced scanning techniques. 5.4.2 Combining profi le scans. 5.4.5 Internal mass scale correction. 5.4.8 Chromatographic profi le matching. 5.5 Deconvolution of spectroscopic data. 5.8 Similarities and distances between data. 5.11 Integrated tools for automation, libraries, and data evaluation. PART II: CASE STUDIES AND REVIEWS. 6 Yeast Metabolomics: The Discovery of New Metabolic Pathways in Saccharomyces cerevisiae. 6.2 Brief description of the methodology used. 6.4 Yeast stress response gives evidence of alternative pathway for glyoxylate biosynthesis in S. cerevisiae. 6.5 Biosynthesis of glyoxylate from glycine in S. cerevisiae. 6.5.1 Stable isotope labeling experiment to investigate glycine catabolism in S. cerevisiae. 6.5.2 Data leveraged for speculation. 7 Microbial Metabolomics: Rapid Sampling Techniques to Investigate Intracellular Metabolite Dynamics—An Overview. 7.2 Starting with a simple sampling device proposed by Theobald et al. (1993). 7.3 An improved device reported by Lange et al. (2001). 7.4 Sampling tube device by Weuster-Botz (1997). 7.5 Fully automated device by Schaefer et al. (1999). 7.6 The stopped-fl ow technique by Buziol et al. (2002). 7.7 The BioScope: a system for continuous-pulse experiments. 8.2 History of plant metabolomics. 8.3 Plants, their metabolism and metabolomics. 8.4 Specifi c challenges in plant metabolomics. 8.4.1 Light dependency of plant metabolism. 8.4.2 Extraction of plant metabolites. 8.4.3 Many cell types in one tissue. 8.4.4 The dynamical range of plant metabolites. 8.4.5 Complexity of the plant metabolome. 8.4.6 Development of databases for metabolomics-derived data in plant science. 8.5 Applications of metabolomics approaches in plant research. 9 Mass Profi ling of Fungal Extract from Penicillium Species. 9.2 Methodology for screening of fungi by DiMS. 9.2.3 Analysis by direct infusion mass spectrometry. 9.3.3 Chemical diversity and similarity. 10 Metabolomics in Humans and Other Mammals. 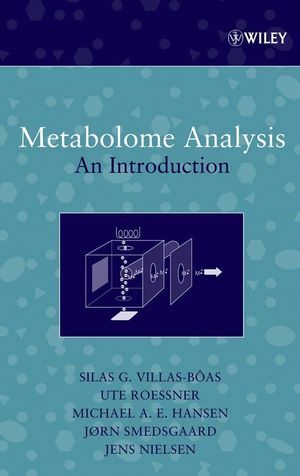 10.2 A brief history of mammalian metabolomics. 10.3 Sample preparation for mammalian metabolomics studies. 10.3.3 Working with cerebrospinal fl uid. 10.3.4 Working with cells and tissues. 10.4.1 GC-MS analysis of urine, plasma, and CSF. 10.4.2 LC-MS analysis of urine, blood, and CFS. 10.4.3 NMR analysis of CSF, urine, and blood. 10.5.1 Identifi cation and classifi cation of metabolic disorders.